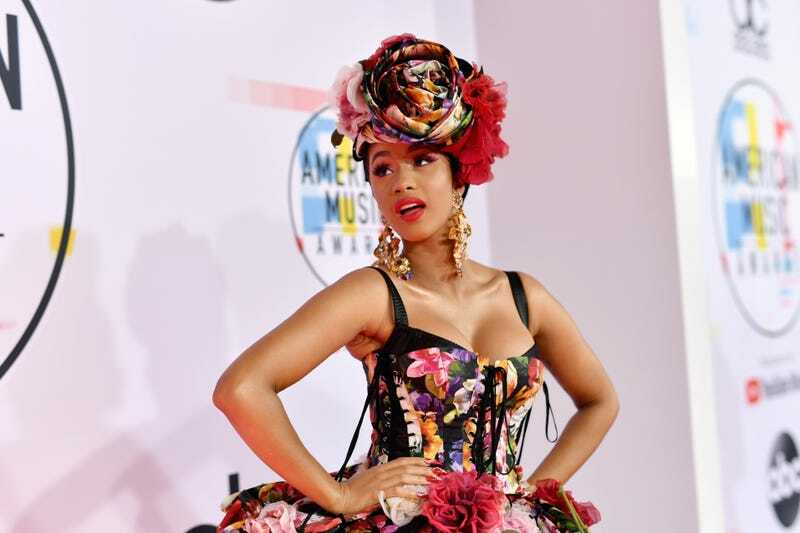 Can you imagine Cardi B starring in a reboot of the television series The Nanny? She would be perfect, right? As The Root’s resident Cardi-ologist, I know that my opinions on her can be somewhat biased, but I am not the only one who thinks she would be foolproof for a reboot of the show. Fran Drescher, who played the titular role in the ’90s sitcom, recently told PeopleTV’s Chatter that she would love to have the Bronx rapper play her daughter in a reboot of the series. Yes, we would love to see The Nanny make a comeback because it was a hilarious show. Drescher also told Chatter that Cardi would be her dream castmember. It’s not just the similarity in the way both women speak. It’s not just their similar tastes in fashion. It’s the appeal of mixing the old with the new. If you are going to do a reboot, do it right. Drescher said in June that she and her ex-husband Peter Marc Jacob—the original show’s co-creator—were in talks to bring the show back to the small screen. Let’s keep our fingers crossed that this happens and that it includes Cardi B.